Fire burns an unoccupied building used for farm storage at 7063 Senedo Rd. 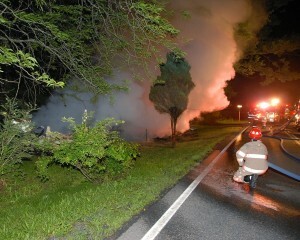 WOODSTOCK—Fires burned two buildings in southwestern Shenandoah County in the early-morning hours on Friday, June 13. Nobody was injured in the fires, which happened about an hour and a half apart. “We are investigating them as potentially set fires,” said David A. Ferguson, Shenandoah County fire marshal. Dispatchers alerted fire and rescue units to the first fire at 2:35 a.m. That fire burned an abandoned mobile home at 4939 Orkney Grade, near Morning Star Road. By the time firefighters arrived, flames had almost completely consumed the building. Units were finishing at that scene when the second fire was dispatched at 3:59 a.m. The second fire was in an unoccupied building used as farm storage at 7063 Senedo Road near N. Mountain Road. Firefighters found fire throughout the masonry building, with vehicles and other buildings threatened by the flames. Fighting the fire from outside, they were able to keep the fire from spreading to anything else. Units from Orkney Springs Fire and Rescue, Mount Jackson Rescue and Fire Department, Conicville Volunteer Fire Department, Edinburg Volunteer Fire Company, Woodstock Fire Department, New Market Fire and Rescue, Timberville Volunteer Fire Department, and Shenandoah County Department of Fire and Rescue responded to the fires. The fires are being investigated by the Shenandoah County Fire Marshal’s Office, with help from the Shenandoah County Sheriff’s Office, the Frederick County Fire Marshal, and Virginia State Police. Anyone with information that could pertain to the fires should call the Shenandoah County Fire Marshal’s Office at 540-459-6177. An Arson Reward is being offered for information leading to the arrest or indictment of the person(s) responsible for these fires. 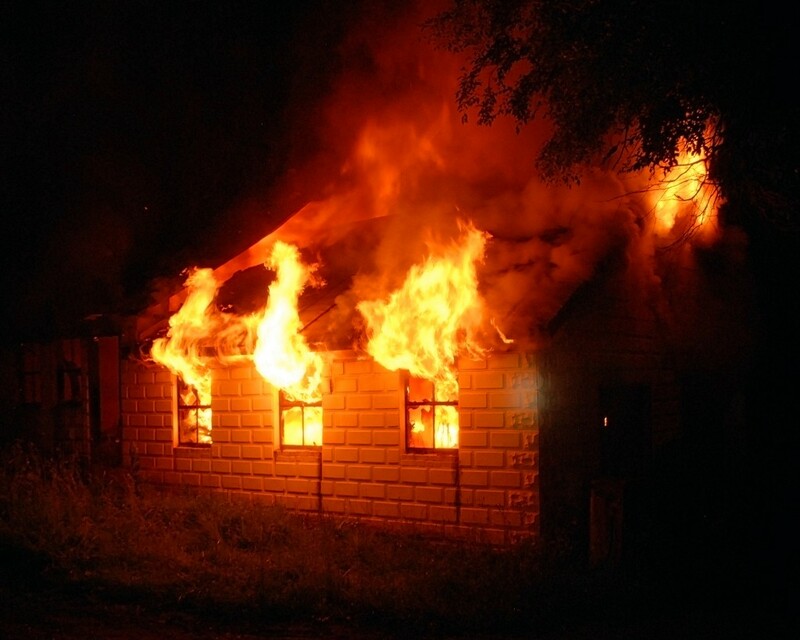 This entry was posted in Structure fire and tagged Co. 10, Co. 12, Co. 13, Co. 15, Co. 18, Co. 21, Co. 23, Co. 50 (Rockingham), fire, house fire, investigation, structure fire. Bookmark the permalink.